Happy New Year to you -- I hope it was a good holiday season for you and all your loved ones. Since Christmas, our days have been quiet and peaceful. I must say I love this time of year. After the busyness of the holidays, I enjoy this downtime when a person is free to read, snooze, watch a movie, sip tea, eat leftover chocolates, ponder plans for the new year, visit friends ... to generally put one's feet up and take it easy for a few days. 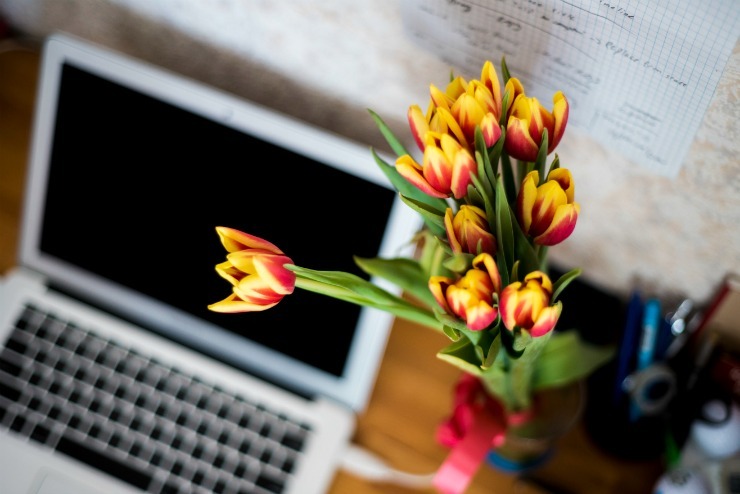 I know not everyone has that option and some might think it a little boring, but for the two of us, even though we're both retired from careers and jobs, we do appreciate this lull in our normal day-to-day schedules. Funny, people will often ask why we don't go away on a winter holiday to the tropics. Sorry, not interested. I like winter, even the deepest, darkest days of December and January. I like snow days. I like crisp, sparkling days where tree tops glisten with Alberta sunshine. I like early evenings and late sunrises. I like frosty nights where we can be cozy by the fireplace, nestle under heavy quilts, and sneak toe warming opportunities with a nearby warm body. 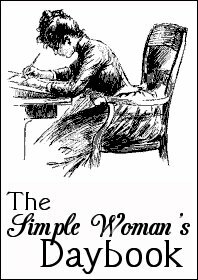 In the New Year, I will carry on my tradition of monthly posting The Simple Woman's Daybook, and so I offer my January edition, with open hands and heart warm wishes that 2017 will be a very good year for you. Looking out my window... It was gray and moody out there this early morning. Cold at -20C ( -4F ), but as I work away on my post, the sky brightens with shades of blue appearing. ... Oops, now it's back to gray and moody with hints of snow flurries. You know the wind's been blowing in the night when snow on the roof tops slide over the edges like fondant icing on a layer cake. I love how it does that. The photo below was taken a couple of years ago, but it looks pretty much the same today. We added sparkles using the PicMonkey editor in case you're wondering. I am thinking... that I'm turning the big 6-0 later this Spring. It isn't anything I haven't already been pondering for the past ten or twelve months. For though I have wondered in disbelief that I could have reached such a decade so quickly -- surely I'm only 37, okay then 47, but not really 60 -- I have also been feeling an excitement about the whole thing. I'm finally old enough to have a history of my own, to have a wealth of experience that shapes my thoughts and emotions and beliefs, to have knowledge about things I could never have known as a 20-year-old, and maybe even offer a little hard-won wisdom to anyone asking, even be a role model or mentor for a newer generation instead of feeling I still need one for myself. There is something about it all that I like, I feel happy about it. I read Agatha Christie's fascinating, very conversational autobiography last year. It seemed important for me to read it now, at this stage of life. Imagine my delight to learn, then, that Ms. Christie was sixty when she started this book. 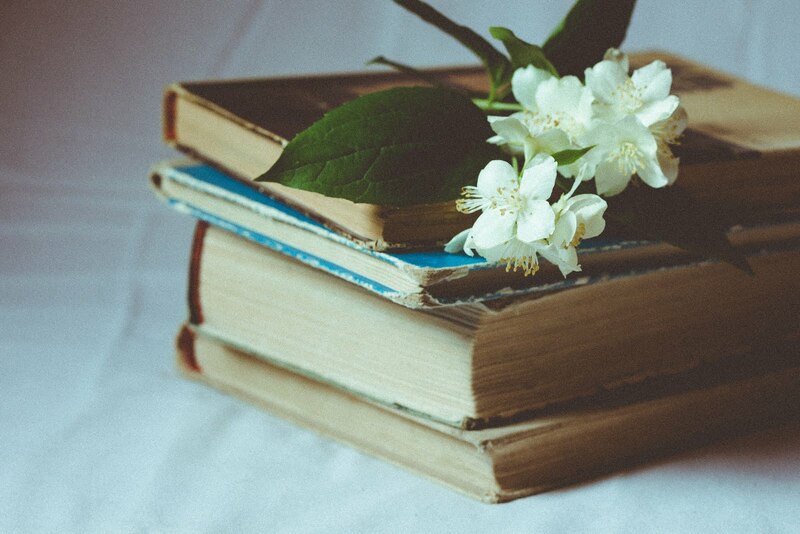 She once said, "So what I plan to do is to enjoy the pleasures of memory -- not hurrying myself -- writing a few pages from time to time." It took her some fifteen years to complete, but all that time she had the pleasure of reliving old memories and capturing them on paper. I was surprised at how many of her stories and accounts I could relate to in some way, being of a completely different generation, but an idea grabbed hold and I've started gathering the bits of pieces of my own history ... for who knows if a young woman some years hence mightn't stumble upon it and find it a fascinating read about someone who grew up and lived during the 20th and 21st centuries. I am so thankful... for a husband who reminds me a little of Mary Poppins ... for like her, Rick is 'practically perfect in every way'. He really is. 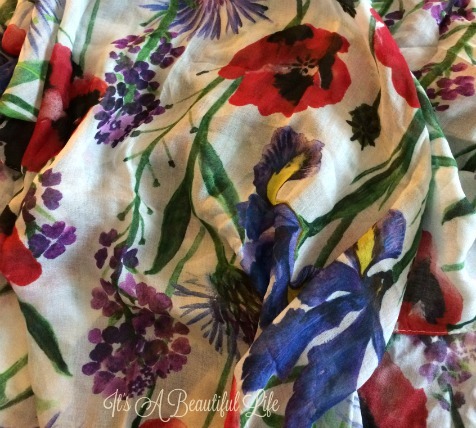 One of my favorite things... a big floral scarf in my wardrobe. It reminds me of our trip to England last summer. Lovely scarves like this were at most garden gift shops, but even though I took real pleasure in admiring and touching, I'd put them back, thinking maybe I was too short to wear swathes of fabric around my neck. But then, upon meeting my dear blogging friend from Cornwall later in the trip, I was completely delighted to find the very scarf I'd been longing for tucked into my gift parcel from her. I realized then I would just quit being silly about worrying about my height. And, ever since I've been wearing it just about everywhere. Even in the dead of winter, it adds such colour and cheer to my otherwise sombre outfits. And, I love how it makes me feel pretty. 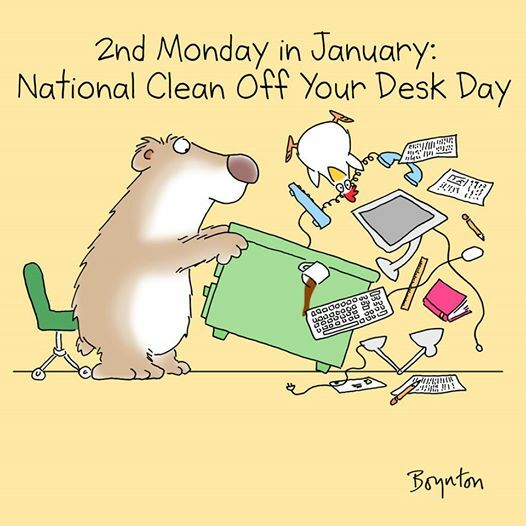 I am creating... order out of chaos on my desk today, joining National Clean Off Your Desk Day as delightfully demonstrated in the cartoon below by artist Sandra Boynton. The Christmas miscellany is now off my desk and restored to its proper place. Paper continues to gravitate into small piles and books taken down for quick browses still await being re-shelved. There are notebooks, photos, used postage stamps too pretty to throw out, quotes written out on cardstock ... not to mention a newly minted British £5 note with Sir Winston Churchill's familiar face on it (it was sent recently to me by my friend in Cornwall). For such a small surface, my beautiful antique table can hold a lot. Which is why it all needs a thorough shaking out on this National Clean Off Your Desk Day. After which, I hope to once again enjoy its marvelous wood grain patterns polished to a sheen ... at least for a couple hours before the new piles start all over again. I am wearing... a cozy long-sleeved black shirt, blue jeans, and slippers. Forgot the lipstick today. I am reading... An intriguing murder mystery by Argentine mathematician and writer Guillermo Martinez. The Oxford Murders is the story of a professor of logic and a graduate student who investigate a series of bizarre, mathematically-based murders in Oxford, England. So far, nothing too gruesome. Thankfully. And, I get to envision some of Oxford's streets and buildings through the narrator's eyes. I am watching ... Season Six of Downton Abbey with hubby. We started last night as if another season was just beginning Sunday night on PBS. Haven't seen it since last January so what fun to watch it all again. Most entertaining to catch glimpses of the scenes and say, 'We saw those. We walked down that grand staircase. We saw the paintings and those red deep couches by the fireplace. We stood there and soaked in all the grandeur.' BTW, I'm working on a post about our visit last summer to Highclere Castle complete with photos. It will go up later in the month. Stay tuned. I am hoping... to get some decluttering and sorting done this month. Time to go through the books and music CDs again to see what I can cheerfully let go. And, put order in the pantry cupboards after all the rooting in there during the holidays. Last January (post here) I did a major clean out of my house, so it's much easier this year. I am learning... to pay more attention to those comments my mild-mannered husband says, which I sometimes assume are just comments made in passing. Maybe it's learning to better listen with the heart as well as with one's ears. For he rarely asks for something, so I need want to listen more with the heart for those little things that will add to his comfort and happiness. I don't know why I suddenly heard that -- I mean, really heard it. Now, the man was a bachelor for a good many years before we met and married, so he's very good in the kitchen. But he loves it when I cook and bake treats for us to enjoy. So I happily whipped up a batch of muffins as a surprise for the next morning's breakfast. In my kitchen... Tea with bread and jam, anyone? I made homemade bread the other day, trying out my new Christmas present, a Kitchen Aid complete with dough hook. Oh my, how easy. And how delicious was the turnout. In my garden... The snow is blooming very well this season. All the ground is covered and bare patches have been transformed into snowy mounds. I'm reminded of a few lovely lines Anne Shirley wrote to Gilbert Blythe in L.M. Montgomery's Anne of Windy Poplars. “January so far has been a month of cold gray days, with an occasional storm whirling across the harbor and filling Spook’s Lane with drifts. But last night we had a silver thaw and today the sun shone. My maple grove was a place of unimaginable splendors. Even the commonplaces had been made lovely. Every bit of wire fencing was a wonder of crystal lace." Shared Quote... A little more than a quote, it's a whole poem. I had a good chuckle when I read this poem by British poet Wendy Cope. I used to feel slightly irritated when people would ask me 'what's new?' I'd think to myself, what do you want from me? I haven't gone to the moon or walked the great wall of China. My days for the most part are ordinary. I do simple things; I peel an orange and relish its orange-y fragrance and savour its sweet juicy pieces. Shall I tell you that? Will it be interesting enough? ... I enjoyed Ms. Cope's delightful response. Tears and passion--I've used up a tankful. A moment from my day... My heart fills with the words of an old prayer by St. Francis of Assisi as this new year begins: "Lord, make me an instrument of Your peace. Where there is hatred, let me sow love; where there is injury, pardon; where there is doubt, faith; where there is despair, hope; where there is darkness, light; where there is sadness, joy. ..."
Closing Notes... The day is gone, the evening's come, This post at last is finally done. The End. I love the poem, very often I feel that way myself! Your loaves of bread look lovely, it's a treat to have such a hard-working kitchen tool. Wishing you lots more cozy January days! Your scarf is beautiful, I love all the colours. I am a big fan of scarves, and I am not particularly tall either! The poem is perfect. I so enjoyed reading your post today, Brenda, and so happy to think that you are wearing the scarf! What a super poem you ended with, it says such a lot. By the way 6-0 is Young! I would like to have stayed at that age. First of all, Dear One, you are just a young'un. Just saying. ☺ I know that you will create a delightful year because that's what you do. I am not a fan of winter so am happy to read about one who embraces it and enjoys it. Must be the cozy factor. I like that part, too. It's the work and the expense that get me. 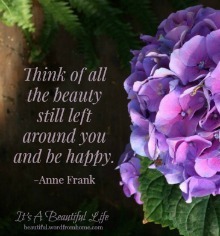 A beautiful post and a wonderful insight into your life. It's interesting you mentioned Agatha Christie as I just blogged about a reading challenge I've set up for myself to read through her books. She is such a good writer and now that you've mentioned her autobiography, I'll have to look for it. Brenda your thoughts about winter and how you enjoy it, I have to say it brought a bit of home sickness to me as I thought of the farm and the storms we had in those days.School bus bringing my "kids" home early from school, a wonderful feeling of peace knowing my children were home safe and sound from the winter's fury. Eating by candle light because the storm had broke power lines,I could go on and on but yes I agree, I too love those things that you do about winter!! Love the scarf Bren, I have one similar in bold red and purple flowers but need to practice wearing a square scarf again. In all the years of owning my Kitchen Aid, the dough hook has never been used because I have never made bread. Your loaves look huge and so tasty! And, at least you know the ingredients going into the bread. It's a dull day of grey here as well with lots of snow coming down and a good accumulation expected; perfect for making soup and I just pulled a Queen Elizabeth cake from the oven. Brenda, You have a way of making everything you do delightfully interesting. I love the way you capture, all the senses in your writing. Thank you for sharing. I wish we were neighbors!! Oh, I love to read your thoughts and goings on! You do such a great job on your day-book entries. Dear Brenda I am 5 foot and possibly 3/4 inch and I wear scarves. Yours is so beautiful. Yummy bread - bet the house smelled absolutely divine too. Thanks for a great post. So enjoyed my visit. Hope your day is wonderful. Hugs! What a lovely post, Brenda. The scarf is so pretty and I'm glad you are wearing it. Sometimes it just takes a bit of practice to get used to something new. 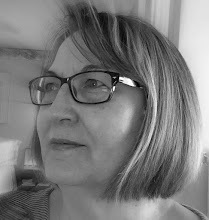 I turned 60 in October and am still trying to get my head around it. The number doesn't bother me, but I wonder, sometimes, how I got to be this age. Then I look back and my life and the things I've experienced and I think how wonderful it all was, and is, and I am thankful. Even the hard times are tinged with joy. I'd love to stop by for a slice of that bread! Enjoyed your post and poem! Thank you for sharing part of your world. What a lovely post. I also love the season just after the busyness of the holidays. So peaceful. I like your day! Thank you for the link to Agatha Christie's autobiography. I've heard about it but have never read. I should find a book at last, for sure! This bread you show, it looks very impressive! Nice to have such useful gifts for Christmas! Love your scarf, it just made me smile looking at it. 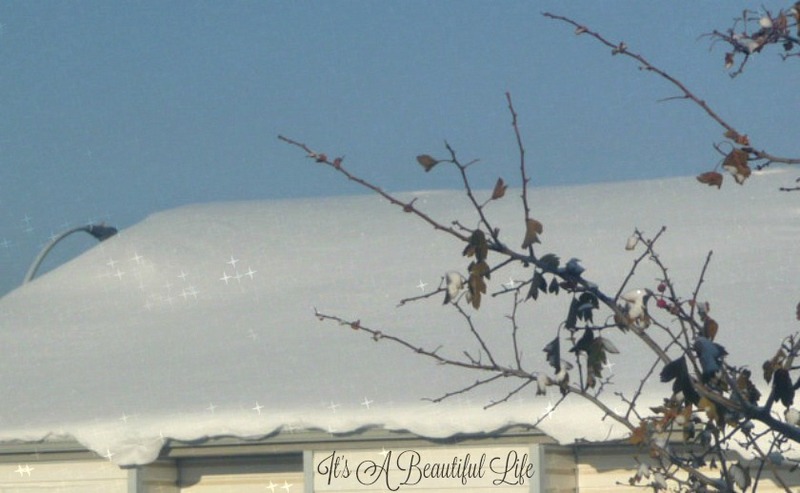 I cannot imagine snow like that but sure is beautiful. Tea and homemade bread sounds so wonderful. I truly enjoyed my visit to your day book and hope to visit your little corner of life again soon. A really lovely post with so much going on in such a great way! I hope that your birthday will be a great one and that it will be a great 60th year for you!! yes to muffins in bed!!!! Your bread loaves are beautiful! 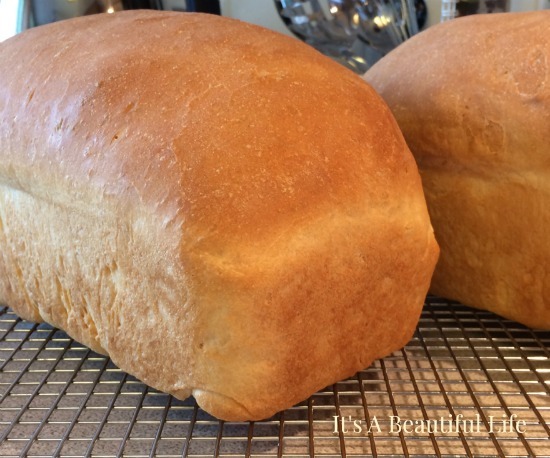 I love making homemade bread---makes a house smell like a home!! I really love the Daybook posts. I never knew that Boynton, from whom I have purchased many a card, was a woman! What fun, and I love that "clean of your desk" cartoon. I should probably do that with mine... but, I digress. I would love to have at least some snow... we are not quite tropics, but we don't get more than a dusting most years, if that. And that bread... whoa, that is impressive. I have a Kitchen Aid with dough hooks that I've never used. Maybe you could share your recipe. Blessings!